It’s not often that a single event appeals to three of my interests, but the recent Jisc-ProQuest symposium on Early European Books Online did just that. I work to develop research collections, and support digital humanities scholarship, while my own research is looking at 17th century texts using corpus linguistics tools: Early European Books brings all three neatly together. I was slightly suspicious that I might be attending a sales demonstration, but Lorraine Estelle, from Jisc Collections, opened by announcing that Jisc has licensed this resource in perpetuity, making it is freely available to the UK HE community via the Historical Texts platform. The presentation by Paul Ayris (delivered on the day by Ben Meunier) put EEB firmly in context of research data management, referencing the LERU 2013 roadmap, and ‘science 2.0’ for Arts and Humanities scholars – noting that e-books are our research data. New forms of text analysis are possible using text and data mining techniques. He described EEB as ‘a defining project, delivering on the science 2.0 agenda for Arts and Humanities’. What has really enabled text mining is not just the existence of EEB or EEBO, however, but the extraordinary partnership that has produced EEBO-TCP. The Text Creation Partnership has involved re-keying the text images to create standardized, accurate XML/SGML encoded electronic text editions of early printed books. This work, and the resulting text files, are jointly funded and owned by more than 150 libraries worldwide. 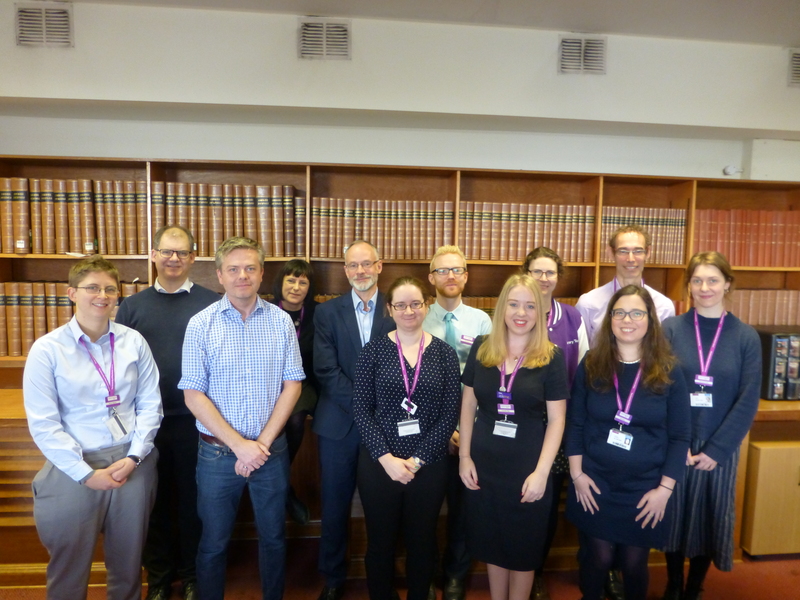 Matthew Brack gave us a very practical assessment of the project management experience in the Wellcome library’s digitisation projects. Andrew Pettegree talked about the Universal Short Title Catalogue (USTC) and the challenges of comprehensive coverage. At the lively round table discussion we considered the difficulty of citing/measuring the impact of electronic sources and the [un]reliability (46%) of OCR software. It’s clear to me that we need a partnership approach with librarians, providers, and scholars working to counteract misperceptions of ‘easy’ e-scholarship and/or lazy searching, and issues with citation of e-resources. After all, Digital Humanities research is typically a highly collaborative activity. University of Manchester users can access the first four collections in Early European Books via the Library’s A-Z of databases pages.